The vari-angle feature of Jensen mixers has been proven to be effective for the resuspending of tank bottom sediment. 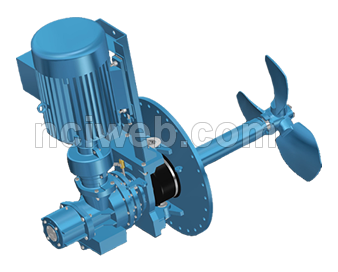 It does so by directing the propeller flow stream(s) toward deposits on the tank floor. In order for vari-angle mixers to be fully effective the entry angle of the mixers should be changed periodically. 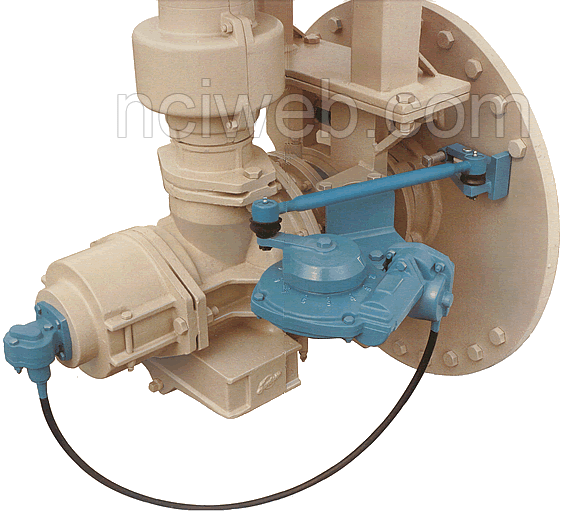 Jensen offers the mechanical actuator which assures that the mixer continually moves across its sixty degree entry angle, from left to right and back to left, over a period of approximately ten hours running time. Any mechanical device requires energy for its operation, however, the Jensen mechanical actuator consumes so little energy as to be nearly impossible to measure. It can be easily retrofitted to older mixers without concern for modifications to power sources. Installation is simple, requiring only basic hand tools. Each mechanical actuator is shipped either on the mixer, or in the case of a retrofit, shipped with complete and concise installation instructions. Normal time of installation does not require more than about fifteen minutes per mixer. By using the mechanical actuator you can be sure of optimum effective use of the vari-angle feature without sending personnel to remote installations to change mixer entry angles. In cases where multiple mixers are installed on one tank it is necessary that all mixers operate “in phase”, or at the same relative entry angle. The mechanical actuator is designed so that the mixer entry angle(s) can be quickly adjusted to match those of other mixers on the tank.